March 11, 2018 (Maple Hill Syndicate) – Back in 1810, a group of businessmen in Hartford, Connecticut formed a fire insurance company for their mutual protection. Today Hartford Financial Services Group Inc. is one of the largest insurance companies in the U.S. It sells property & casualty insurance, group life and health insurance, and mutual funds. I suspect that many people wouldn’t invest in Hartford because they think of it as old and stodgy. Don’t tell that to Christopher Swift, the CEO. He bought $499,530 of his company’s stock in January. With his wife and affiliated trusts, he controls 208,188 shares, worth just over $10 million as of Friday. The same month, David Robinson, the company’s general counsel, bought $110,870 worth of Hartford shares. Hartford stock has moved up about 10% since Swift’s purchase, and about 3% since Robinson’s, but I think there is room for additional gains. The stock sells for half what it did at its 2007 peak – more than $100 a share then, under $50 now. To me, the shares seem attractive at the current valuation of 10 times earnings and 0.9 times revenue. I find Weight Watchers meetings painfully dull, but the stock looks rather exciting to me. As recently as June 2018, less than nine months ago, Weight Watchers International Inc. (WTW) shares sold for just over $100. Friday’s quote was under $20. Has the company gone down the tubes? I’d say no. Profits last year were $224 million on sales of $1.5 billion. Neither figure was a record but it was one of the company’s better years. Last month, Weight Watchers said that its number of subscribers had declined to about 3.9 million people from 4.2 million a quarter earlier. It estimated 2019 revenue at about $1.4 billion, also a decline. The stock dropped 25% in a day, and a cluster of shareholder class action lawsuits followed. Oprah Winfrey, the immensely popular talk show host owns about 8% of the company. Under her eye, the organization emphasizes lifestyle and good feelings more than it used to, and the verdict of the scale a little less. On March 1, Mindy Grossman, the company’s CEO and President, bought 12,000 shares for about $260,000. I suspect Grossman’s timing was good. The stock – now at six times recent earnings and less than 1.0 times sales – seems cheap to me. The company’s debt is high, however. So, if you’re tempted by these shares, I’d put no more than 2% of your portfolio in them. Using Guru Focus software, I screened over the weekend for companies where insiders had sold $2 million or more of stock this year, including at least $500,000 by the CEO and at least $200,000 by the chief financial officer. There were 85 such companies, which struck me as a lot. The five biggest companies that met this description were Amazon.com Inc. (AMZN), Procter & Gamble Co. (PG), Boeing Co. (BA), Salesforce.com Inc. (CRM), and PayPal Holdings Inc. (PYPL). Salesforce had the largest volume of sales by insiders – $60.8 million including $42 million by CEO Marc Benioff. Its stock also sells for the highest multiple of revenue, nine times revenue. I would judge it to be the most vulnerable of the five. Today’s column is the 49th one I’ve written about insiders’ buys and sells. I can tabulate 12-month results for 39 of them — all those from January 1999 through March 2018. Stocks with insider buying and a recommendation from yours truly have beaten the Standard & Poor’s 500 by 1.8 percentage points per 12 months. Stocks with insider buys, but which I said I would avoid, trailed the index by 25 percentage points per year. Stocks in which I took note of insider sales beat the index by 2.1 percentage points – not the result I wanted. Finally, there were a few stocks where I noted insider buying but made no recommendation either way. Those clobbered the index by 16.3 percentage points. All in all, the evidence is mixed. But I think it buttresses the concept that insider buying is a plus. Insider selling, however, isn’t a clear signal. There are many reasons to sell (divorces, college tuitions and the like) and only one main reason to buy, a thirst for capital gains. Bear in mind that my column recommendations are theoretical and don’t reflect actual trades, trading costs or taxes. Their results shouldn’t be confused with the performance of portfolios I manage for clients. And past performance doesn’t predict future results. Disclosure: I have no personal positions in the stocks discussed in today’s column. My wife, who is also a money manager at my firm, owns shares in Amazon.com and Boeing personally and for clients. 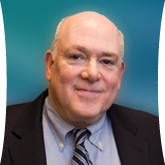 John Dorfman is chairman of Dorfman Value Investments LLC in Newton Upper Falls, Massachusetts, and a syndicated columnist. His firm or clients may own or trade securities discussed in this column. He can be reached at jdorfman@dorfmanvalue.com.